The Social Security Card was mainly made for tracking an individual’s account within the Social Security program. In the United States of America, the social security number is used over a large range of people. 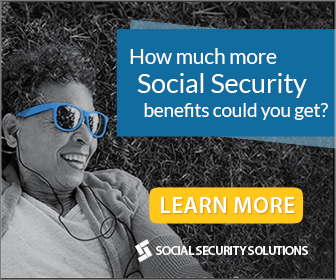 As having a social security card is an essential of today’s daily transaction and living, one of the purposes to own a social security card is to live a hassle free life. A social security card in the present living is not any more than just an individual’s form of identification but rather, it holds the transactions of your daily activities. When a person gets a new job, the employer always asks for the person’s social security number. The purpose if the security card number is for your company to register you to the Internal Revenue Service and to report your social security wages, this is for the person’s identification and verification that you are an entitled and qualified citizen of the United States. One of its purposes is to protect and manage your credit and bank accounts. The federal government has required the monetary institutions to check the security card holder to check your credit, to return your investment and income losses to the Internal Revenue Service. When you do not have enough money to settle for a payment, the social security card has a purpose of helping you out to apply for a loan. The United States government will use the social security number to ensure that the individual who is applying for a federal loan is a person who is entitled and qualified to be a permanent, temporary or legitimate citizen of the United States. If you are feeling hopeless and needs a public assistance, just present your social security card to the public organization that gives a helping hand. Public assistance programs include those who are disabled can claim a benefit. The purpose of this is for the government to make sure that other citizens are not claiming benefits they are not entitled to claim. If you are a sickly person and you badly need to undergo some physician consultations and undergo some diagnostic tests, an individual can apply for a medicare program. This program is inclusive for people who are qualified with the application. Medicare is a health insurance program and citizens can easily access with them since the Social Security Administration works with the Center for Medicare. Also, one of the purposes of the social security number is when you have to renew or apply for an original passport and a driver’s license. The federal law states that it is a requirement to apply for a United States password, a fine is imposed on the people who do not provide. The beneficial purposes of a social security card are the tax return, the Internal Revenue Service uses your social security number to match the income you earned from the report on your tax return income the employer and financial institutions report to have paid to you. With the beneficial purposes discussed, one should have an original of the Social Security Administration.